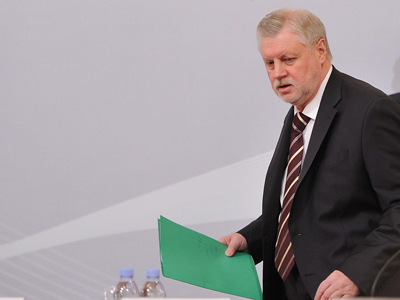 Head of the leftist opposition party Fair Russia, presidential candidate Sergey Mironov says that the future liberalization of Russia’s political life will not lead to a breakup within his party. ­Speaking at a press conference in Moscow on Monday, Mironov said that his party, initially formed as a result of the merger of several parties and political movements, cannot fail now. “There cannot be any breakup in the party, by definition. 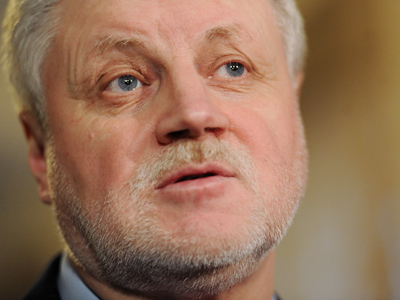 The party demonstrated its best fighter’s qualities during the State Duma elections and it continues to demonstrate them at the presidential elections,” Mironov said. As Fair Russia advertises itself as a leftist party, Mironov commented on Vladimir Putin’s latest article dedicated to the social policies in the country and said that the prime minister and rival presidential candidate was using the same ideas that Mironov himself suggested a long time ago. 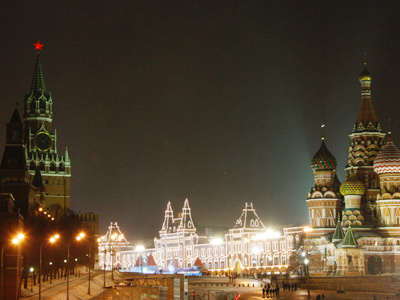 “I am happy that my ideas, Fair Russia’s ideas are currently forming the agenda – social changes and social reforms are exactly what I have insisted on,” Mironov said. The Fair Russia leader also gave one example of such ideas – the draft on people’s savings funds that has been lying in the government and the State Duma without movement for several years. But Mironov stressed that political reforms, such as the reform of the justice system and toughening the anti-corruption laws must precede the social changes. He also said that his party supported the idea of bringing back the direct gubernatorial elections, but rejected Vladimir Putin’s idea of a “presidential filter” that would bar potentially ineffective or corrupt candidates from participating in the poll.